An explosion shook a technical school in Manhattan today, injuring several people, the New York City fire department said. Unofficially fire department people on the scene said the explosion may have been caused by a gas leak. New York has been on edge since the Sept. 11 attacks, in which a pair of hijacked jetliners were smashed into the World Trade Center, reducing the twin towers to rubble. Around 3,000 people were killed in coordinated attacks on New York and Washington. The United States launched a war on terrorism in response to the attacks. Federal officials have issued a series of warnings of possible attacks against a wide range of targets. According to a police spokesman there was, however, no indication, that the explosion was linked in any way to political violence. Apex Technical School teaches auto repair, refrigeration and welding. NEW YORK – You’re heading to work one morning when suddenly, you’re broad-sided by a speeding pick=up truck. Although there may not be any obvious injuries, some of the most severe – and life-changing injuries – are below the surface. You may have suffered a mild traumatic brain injury (TBI), also known as a concussion. Although athletics have recently put concussions in the headlines, these serious injuries can occur in car crashes, slip and falls, and a variety of other accidents. A New York car accident attorney at Cellino & Barnes says despite the publicity of concussions in sports, the injury is most likely to happen in a car crash. According to federal statistics, motor vehicle accidents account for half of the 500,000 head injuries that require hospitalization each year. Those are the serious injuries. Doctors say many other TBIs go undiagnosed or undetected despite the potentially serious consequences. Concussions have been linked to chronic headaches, fatigue and memory loss. Concussions could also trigger serious diseases such as chronic traumatic encephalopathy, Lou Gehrig’s Disease, or dementia. As we learn more about concussions, doctors are finding more evidence that permanent brain damage can be caused by concussions even when a person remains conscious. “When you’re driving your car to work and you’re struck by another vehicle, your brain goes from 30 miles per hour to zero in a split second,” Cellino said. New York car accident lawyers at Cellino & Barnes recommend immediate diagnosis and treatment after any accident – and since many head injuries carry the very real possibility of long-term brain damage, it may also be important to contact a lawyer. ROCHESTER, N.Y. – Imagine this: you have the green light and you’re driving through an intersection when suddenly another vehicle runs a red light. What happens next can be serious and sometimes life threatening. Unfortunately, it’s a situation that happens every day in America. It’s estimated that a person is killed in a traffic collision every 25 seconds. However, there are really smart people using dummies to curb the dangers of driving. Scientists, engineers and researchers have long used crash dummies; by attaching accelerometers, force sensors, and strain gauges, they can measure the impacts of a car crash and grade the safety features of vehicles. However, mannequins may have reached the end of their usefulness. Rochester car accident attorneys at Cellino & Barnes say real car crashes rarely mimic a controlled crash on a test track. Researchers at Wake Forest University are taking a new approach, creating a smarter dummy: a virtual dummy. For the past five years, researchers have been testing virtual crash simulations using real-world data. The simulations can provide more detail on how a crash occurs – and how injuries can be mitigated. Most mannequins don’t have hearts, lungs or kidneys – but virtual dummies do. Researchers can now use computers to accurately predict injuries to internal organs, such as lung contusions. 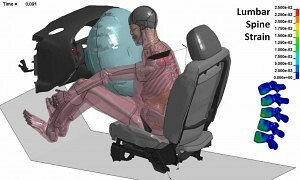 Researchers have used virtual dummies to determine that injury-causing stress moves from the foot to the leg as a driver’s head impacts a front airbag. They’ve also discovered that reclined seating positions lead to a higher risk of head and chest injuries. The team’s complete findings were published in Traffic Injury Prevention this fall. 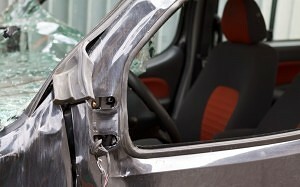 Rochester car accident attorneys hope the ongoing study can help design safer cars and safer driving practices. ROCHESTER, N.Y. – Research once suggested that random cell mutations developed tumors, leading to cancer. However, this ‘bad luck theory’ may not be true. New research has found that up to nine in 10 cancers were caused by environmental and external factors like smoking, drinking, sun exposure, air pollution, and asbestos. A Rochester mesothelioma attorney at Cellino & Barnes says these outside influences are surprisingly common – and even those who don’t smoke can get certain types of lung cancer. Although many manufacturers now limit the amount of asbestos in products, the dangerous fiber can be found in chalkboards, electric wiring, insulation, cement, fireproofing materials, and many other household materials. 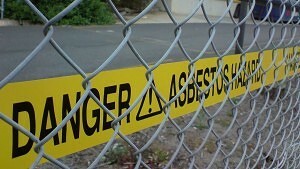 Lawyers say second-hand exposure is also a common cause of mesothelioma. After someone is exposed to asbestos, it can take between 20 and 50 years to develop mesothelioma. What may appear to be a random type of lung cancer could have been caused by asbestos fibers decades ago, according to the newest research. Doctors say the new findings suggest that people – and companies – could slash the risk of getting cancer by making clear and simple changes: quit smoking, avoid sun exposure, reduce air pollution, and eliminate asbestos fibers from workplaces and products. One of the researchers said that between 70 and 90 percent of all cancers would not occur if society could ‘magic away’ all the external risks. While many people can make lifestyle changes to reduce their risk of getting cancer, some companies and workplaces may not. If you believe you’ve been diagnosed with mesothelioma because of a company’s negligence, contact a Rochester mesothelioma attorney at Cellino & Barnes today for a free consultation. BUFFALO, N.Y. – Drivers under the age of 25 are most at risk of getting into a car crash but they’re getting wiser about driving, according to a new study. 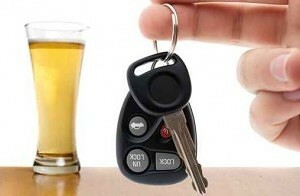 Researchers at the Centers for Disease Control and Prevention (CDC) say self-reported drunk drivers between 16 and 20 years old have dropped 59 percent since 2002 – and drunk drivers between the ages of 21 and 25 have dropped 38 percent. This is good news, says a Buffalo car accident lawyer at Cellino & Barnes. Since the 1990’s, safety advocates have launched campaigns in local schools and youth centers, warning teens of the dangers associated with drunk driving but according to safety experts, technology is helping too. Simply tapping your cell phone can hail a cab – and sometimes pay for it. Cell phones can also call a trustworthy friend or family member after a night of drinking. However, car accidents are still the number one killer of young adults and teens – and Buffalo car accident attorneys say technology certainly plays a dangerous role behind the wheel. It is now estimated that four out of every five drivers have been distracted behind the wheel – often by smartphones. Safety advocates say it is important to continue educating children about the dangers of drunk driving but it is equally important to emphasize the risks associated with distracted driving. The CDC estimates more than 2,000 teenagers are killed in car accidents each year – which equals about six deaths every day. NEW YORK – This past year has been a struggle for automakers; issuing recall after recall but the industry may be finding a ‘sweet spot’ for safety. According to the Insurance Institute for Highway Safety (IIHS), more than 60 vehicles received 2016 safety awards. The awards are created to help consumers determine what vehicles are the safest, without having to look at a multitude of individual test results. “Just about every year, we make it a little more difficult for a vehicle to get on the list,” Lund said. For the 2016 models, the IIHS upped its standards for small-overlap crash tests and dozens of models surprisingly fared well despite a year full of recalls. A Queens car accident attorney at Cellino & Barnes says recalls are still a big concern, however. According to Lund, 48 of the 61 vehicles receiving awards earned the IIHS TOP SAFETY PICK+, the institute’s highest award. To qualify, each vehicle must earn a ‘good’ rating in 5 different crash tests. On top of that, vehicles must also pass ‘front-crash prevention’ tests; which assess automatic braking systems. Many safety advocates argue that automatic braking systems should be standard on all new models. Federal regulators said in September that at least 10 automakers agreed to make automatic brakes standard equipment on all new vehicles, but the companies did not set a timetable on the introduction of the standard safety features. Many regulators are still seeking government rules that would require the feature on all cars and trucks – similar to airbags. Lund says the IIHS wants to encourage the use of technology that can prevent a crash but also rewards vehicles that can protect a driver and his/her family in case a crash does happen. Hoverboards: Hot Holiday Gift or Safety Hazard? ROCHESTER, N.Y. – You may have seen one and thought, ‘wow, cool!’ But self-balancing scooters (aka hoverboards) are hot. So hot that they’re catching on fire and sparking safety bans across the nation. They’re one of the most-wanted items on Amazon this holiday season but hoverboards are grabbing headlines because they keep exploding. This week, three major US airlines banned hoverboards on their airplanes – stating the transportation device will not be accepted as either carry-on or checked luggage. United, Delta, and American cited “poorly labeled, powerful lithium-ion batteries” were at the heart of the issue. Rochester defective product attorneys at Cellino & Barnes say many holiday gifts could be equipped with dangerous batteries, prone to causing fires. In the early 2000’s, Apple and Dell issued recalls after laptops overheated and burst into flames. The fires were linked to the computers’ lithium ion batteries. Nearly all hoverboards are made at a rapid pace in China with little thought of safety. Adding to the risks, there are no global manufacturing standards – and fewer regulations. Many hoverboard makers have stated that their lithium ion batteries have been independently certified as “safe.” However, that may not be true. Federal regulators target specific imported products to detain. Although the strategy has its benefits, it can expose consumers to many unsafe imports that hit shelves in America. 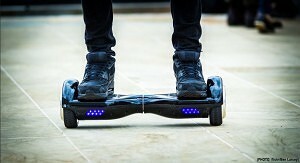 Some electronics like hoverboards often have self-regulated safety standards. Even if the standards are not met, stores can legally stock and sell those products. However, some are deciding to avoid a potential public relations disaster. Overstock is stepping back from selling hoverboards due to fire concerns and the Consumer Electronics show outright banned them. The New York Police Department claims hoverboards are technically illegal in New York City, but not due to safety concerns. BUFFALO, N.Y. – You’re an attentive driver cruising down the road, crossing through intersections and changing lanes then, suddenly, you feel that tingle. You start to panic and try to hold it – but it’s no use. You just hope you don’t get in an accident. Achoo! It’s a sneeze – and it takes your eyes off the road. Most of us have been in this situation and drove away without incident but some can blame their car crash on a sneeze. According to a study conducted by Olbas Max Strength cold and flu treatment, more than two million drivers have crashed during or just after a sneeze. A Buffalo car accident attorney at Cellino & Barnes says driving is one of the most dangerous times to sneeze. Study researchers estimated that 7 percent of sneezing drivers will get it in an accident as a result of their involuntary reaction. Many people admit to sneezing several times in succession. According to the Guiness Book of World Records, the longest sneezing fit lasted for 978 days (more than 2.5 years!). Buffalo car accident attorneys say anytime a driver is distracted from the road, the chances of an accident occurring greatly increase. Do you know someone who sneezes a lot? (Of course you do.) Share this information with them – it could prevent an accident. NEW YORK – For parents, there’s no worse feeling than watching your child suffer an injury. Although many parents do everything they can to prevent injuries to their children, accidents still happen but a new report found that accidents occur more often than you may think. The study, released by the Irish Institute of Public Health (IPH) found that 16 percent of 3 year-olds have had an accident or injury that required a hospitalization. Queens defective product attorneys at Cellino & Barnes say many injuries suffered by children are due to unsafe toys or items found around the house. Many toys made for older children can be extremely hazardous to toddlers who aren’t yet aware of the risks. The Irish study found that 3 year-olds in households with other children and just one parent were most at risk of injury. -Boys were injured much more frequently than girls. The report noted that “gender differences in activity levels and risk-taking behavior, gender socialization and gender-related patterns of parental or adult supervision” raised the risk for boys. Several other studies examined the psychology behind parenting and found that most parents supervise children differently depending on their child’s gender – with boys receiving less supervision than girls. Some toys are marketed as ‘safe products’ but defects can make them dangerous for young children. 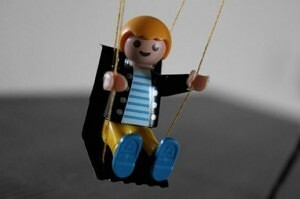 Many toy companies face lawsuits each year due to negligence or unreported hazards. If your child is ever injured due to a dangerous toy or other household item, Queens defective product attorneys suggest contacting Cellino & Barnes immediately to discuss your legal options. BUFFALO, N.Y. – It may not be longer before your children start buckling-up on the school bus. A national push for better school bus safety is gaining momentum but some schools are fighting it. In New York State, all newly manufactured school buses are required to be equipped with seat belts but the state doesn’t mandate that they be used. The law leaves seat belt enforcement in the hands of each school district. Many other states are now reviewing their seat belt laws and coming up with ways to keep children safe. The National Highway Transportation Safety Administration is recommending that all school buses be equipped with three-point seat belts, which include a strap across the shoulder and chest, similar to those found in the driver’s seat in most vehicles. The Baltimore Sun reported that the State of Maryland is currently drafting legislation that would require seat belts on school buses. However, it is not clear how the state would enforce the law. Cost is also an issue. 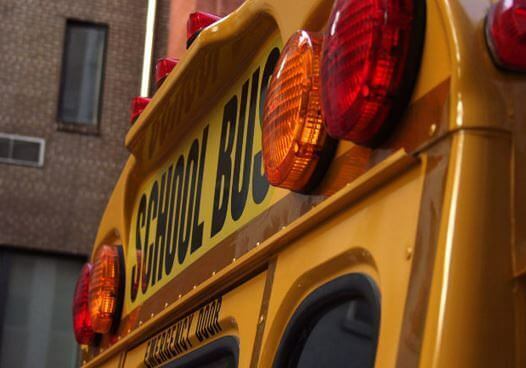 State officials in Maryland believe installing seat belts on school buses would cost between $8,000 and $16,000 each – coming to about $6.4 million for the 8,000 buses operating in the Old Line State. The need to improve school bus safety is clear: over the last decade, 327 school-age children have died in school transportation-related accidents, according to the NHTSA. More than 50 of those children were passengers on a school bus. Most accidents occur outside the school bus – where there are no seat belts to protect children. But each year, school bus crashes send children to the hospital when a seat belt could have minimized their injuries. Buffalo bus accident attorneys say almost every injury can be prevented with the proper education, training and safety features. But right now, those aren’t offered to children in most states.